French label Born Bad with an incredible follow up to their essential “African Electronic Music 1975 – 1982”, both collecting the music of Cameroonian-in-Paris, writer, sculptor, and sonic explorer, Francis Bebey. This one is accompanied by artwork of the week from Brussels-based Elzo Durt. Elzo coming from a Punk / Skate background describes his work, which has graced album sleeves, magazine covers, festival posters, and designs for Lacoste & Carrhart, as a “cheerfully morbid universe”. It`s striking art that takes William Blake`s engravings of visions of heavens and paints them with bright, garish primary and day-glo, often combining them with hellish Terry Gilliam / Monty Python-like collage. 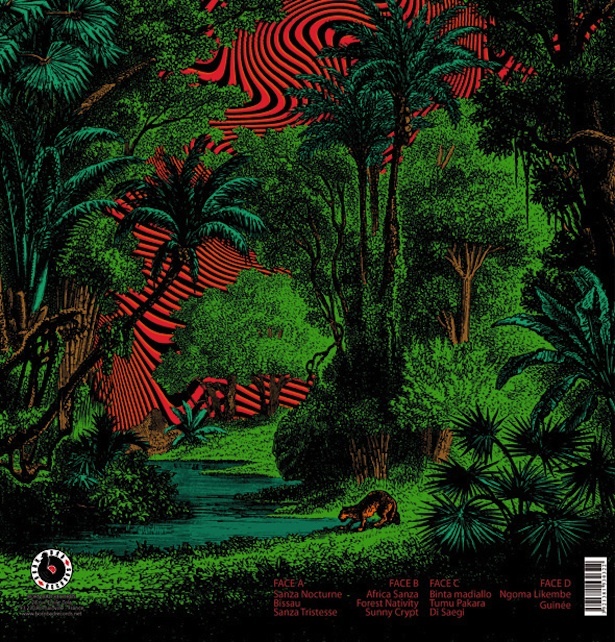 The drawing for this Bebey compilation looks like some dark relic from the days of Empire turned inside out, its power inverted, by the jungle`s native psychedelic shamanism. The meat of the black centipede and mugwump jism. The ruthless Dr. Benway up river and out of his depth. 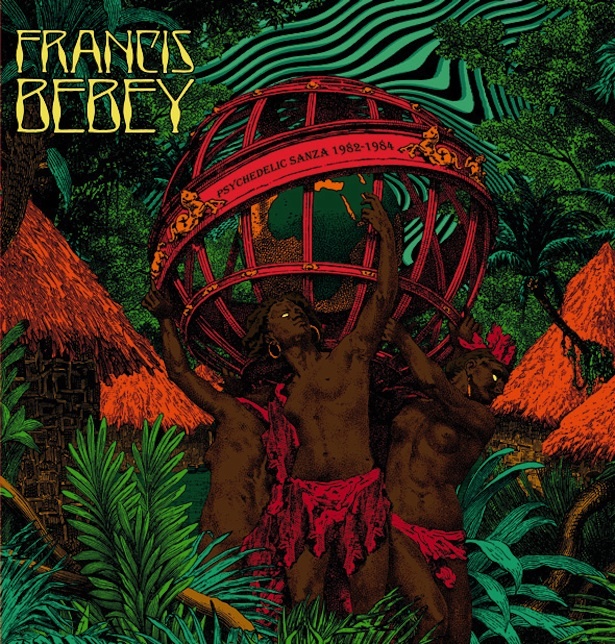 The darkness might seem in contrast with Bebey`s complicated, sometimes frantic, yet always gentle, polyrhythms, but within his compositions there is chant, spell, trance and magic. Invoking ancestors, repelling evil.